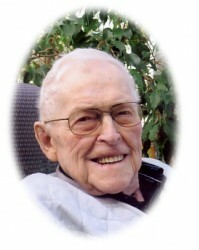 JASPER – Garfield Robson Jasper was born on a farm north of Hartney on July 26, 1925 to Norman and Gertrude Jasper. He attended school in Deleau and worked for his father on the family farm. The 2nd World War was on and when Garfield turned 18, he joined the Royal Canadian Air Force. He was sent to Lethbridge, AB for training. Garfield was trained in navigation, Morse code and radio operation. He was discharged with rank of Sergeant and never saw action as the war ended. After the war, he returned to the Hartney area where he met and married Ivy Roberta (Bert) Scharff on August 8, 1946. 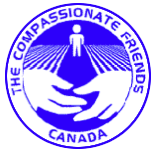 They bought some land and started farming and raised 3 children Garry, Greg and Barbara. Through the years the farming involved grain, Simmental cattle, dairy cattle, chickens, ponies and Arabian horses. They had 6 grandchildren who loved spending time on the farm with them. Garfield and Bert loved music and were in family bands and other bands such as the “Souris Playboys” for many years. Garfield and Bert took up golfing when they were 50 and started spending their winters down in Texas and went south for 25 years. Garfield served on Sifton Council for years as a councillour and Reeve, also on the Souris Hospital Board and was also a member of the Manitoba Water Service Board. They sold their farmland in 1993 and moved to an acreage outside of Souris which they enjoyed until Bert died on June 2, 2009. Garfield then sold the acreage and moved to the Souris Crescent Manor for 2 years, then to the Victoria Park Lodge for a year and then to Hartney Personal Care Home where he passed away on May 2, 2014. Garfield is survived by son Garry (Judy), granddaughter Angie (Todd) and McKenzie Leach, grandson Craig (Tascha) and Faith and Parker Jasper, son Greg (Marion), grandson Dallas (Dave) and granddaughter Tara (Jeb) and Jordyn Schock and daughter Barbara (Don) Maxwell, grandson Dustin (Dana), and granddaughter Megan (Kyle) Stephenson, Kierra and Briar. Garfield was a wonderful man who enjoyed his family and friends. He was kind, compassionate and a true gentleman. He will be deeply and sadly missed by all who knew him. Sincere Sympathy and Heartfelt Condolences to all of Garfield’s Family at this sad time. Safe journey dear Garfield. I will always remember your Tennessee Waltz.